Conduct initial meeting(s) to connect our teams and learn about your business (e.g. needs, challenges, goals, KPIs, personas, customer journey, competitors, etc). Set up relevant data collection and tracking systems and processes. Create a Testing Priority Queue using learnings from the audit, further analysis, and your feedback. Priorities are established factoring in both the level of impact and difficulty to implement each test. Present a testing ideas document for your review and approval. Produce a Test Plan for each test, outlining the detailed recommendations for how to address each hypothetical outcome. Create HTML needed for each test and send the link to the proposed new version for your approval. Perform proper controlled A/B testing based on statistical significance and send updates as results are obtained. 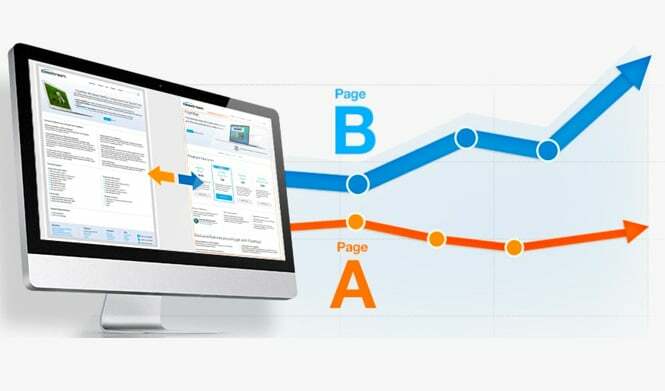 Execute tests utilizing the Optimizely (or other) testing platform, including setting up Google Analytics tracking to provide more granular insight into user behavior. All tests run for at least one business cycle, and each test must reach 95% statistical significance to declare a winner. Account for external factors (e.g. data pollution), and therefore a significant sample size is taken into consideration. Provide immediate results and analysis upon conclusion of the test in the form of a Test Report Document. Use the reports and data to help you continually optimize your testing program. Develop subsequent plans based on previous outcomes and document them in a Test Report. Provide your IT team with the winning test HTML for implementation. Capture significant results from all tests in a Test Learnings Document, which outlines the key learnings about messaging, calls to action, and other insight gained through testing. Share Testing Ideas Presentations as information is acquired and focus shifts to new areas of the site. Update the Testing Priorities Document as goals change. Blast Analytics is a pleasure to do business with. Every person I’ve worked with there has treated my team as a partner rather than just another client. They are the most reliable and efficient agency I’ve ever worked with. All projects are met with thorough research and discovery preparations which has instilled a high level of trust with me and my team. If you have questions or are ready to discuss how Testing & CX Consulting can help you EVOLVE your organization, talk to a Blast Solutions Consultant today.